Mia: An issue for my middle daughter when she played club soccer was carpools. The problem was that she was the only person on her team from her town. There were three other carpools based on location and then a few girls who were also the only ones from their town. It wasn’t that the girls from town carpools were inherently mean or exclusive or catty ... but they came into practice as group who carpooled together, and most had played together for years on town teams together. They talked about people who went to their school who no one else knew. And, on the field, one group had a -- most likely unconscious -- tendency to pass to each other. 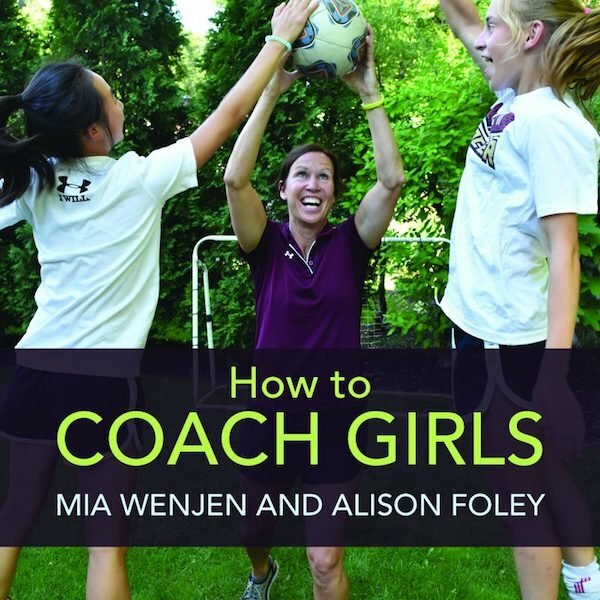 ALISON FOLEY has been the head coach of Boston College's women's soccer team for since 1997, guiding the Eagles to the NCAA playoffs 14 times, including appearances in eight sweet 16s, three elite eights and the final four. She was an All-American midfielder at Keene State, where she earned a degree in psychology, focusing on sports psychology of female athletes. She has a master's degree in kinesiology from James Madison. 3 comments about "The clique factor -- how coaches can mix it up to make a stronger team". Bob Ashpole, February 6, 2018 at 10:22 p.m. It is not just about forming attachments. Learning to compete against friends is important too. The first time I coached girls (U10) I was astounded at, compared to boys, how socially sophisticated they were at that young age and also at how important social interation with their peers was to them. Ray Lindenberg , February 7, 2018 at 7:26 a.m. This article on the ‘clique factor’ goes beautifully hand-in-hand with Lauren Markham’s recent Youth Soccer Insider contribution: ‘A Wonderful Side Of Soccer – Helping Kids Feel Like They Belong’. And it’s such a valuable topic to address, because the message applies to the coaching of boys and girls of all ages and skills sets – right onto managing HS, college and even at the semi-pro teams … thus it’s a universal coaching issue. More specifically, it’s a coaching RESPONSIBILITY issue, as in – true, professional-approach coaches are responsible for having their players ‘mix it up’. In fact, part of their primary responsibility as coaches is to: A) protect against closed, over-cliquing; B) having the players appreciate the value for the development of their individual play, as well as that of the team, when they engage in multiple, open cliquing, which is the building block of teamwork; and C) accept as part of their professional-approach, fully understanding and embracing the dynamic that they’re not there to simply supervise the activity of kids playing soccer, but to also help build and positively influence their personal character, plus other valuable lessons that is at the core of properly and professionally coaching all youths in all team sports. Team soccer, as are all sports, is a fantastic vehicle to help youth grow up the right way … integrate well into society and be productive citizens … and a fabulous opportunity to learn transferable skills that they can apply at school, in the home, at work, with friends and family, and in all phases of life. Playing soccer, for the overwhelming practitioners of it, will be but a limited window. The team lessons of soccer though, last a lifetime. Don’t you want a coach who helps your steer kid, both overtly and subliminally, towards a more positive yield of behaviors and values, instead of a coach who pushes and screams his/her way to affect a more limited soccer result? Ray Lindenberg , February 7, 2018 at 7:34 a.m. The issue isn’t to interfere and stunt the development of cliques – they are going to evolve naturally no matter how much one might try to prevent them. The objective of a professional youth coach is to encourage multiple cliquing during practices, using the methods in this wonderful article, and to do so in the name of better player and team development. The personal and social development value can go unmentioned as one of the many hidden dividends and treasures of coaching. Letting kids on teams develop and fortify closed, exclusive cliquing can hurt the team, and in the long-run, their personal development as players and individuals. Not sharing and excluding members from a hardened, closed clique is one of the many paths to bullying that a coach can influence and prevent. The coach’s goal should not be to deny cliquing – the offense and he defense perform better when there’s positive clicking borne out of teamwork -- but to prevent exclusive over-cliquing, where players can feel overlooked, marginal and left out. Responsible, professional youth coaches manage cliquing head-on for the benefit of the team, the player and the budding, productive citizen. Encouraging multi-cliquing as part of the team is the greater North Star. In fact, in all sports, coaches that encourage healthy, multiple cliques are often the ones that produce the top teams and champions. Add to that the fact that the better players are the ones that develop at an early age the innate ability and responsibility to make those around them better, and you have the perfect backdrop, rationale and foundation to forge ahead with multi-cliquing – so that the more talented players learn the critical lesson that, on a team, they’re responsible for helping make their teammates better, so that their team plays better, and ultimately, so they themselves can improve faster. Cliquing is a responsibility issue … for the coach as well as for the player. Great article!